PD Warrior Says Exercise Should Be Included In Treatment For Parkinson’s Disease - 2019 INSIGHT Into PD UNITES! 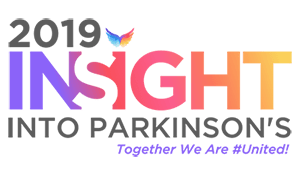 PD Warrior, the physiotherapy based exercise framework for people with Parkinson’s disease will host the world’s first virtual summit, Insight, with over 30 world expert speakers spearheading a three day event to coincide with World Parkinson’s Day (April 11). The brain child of Australian PD Warrior Founder, Melissa McConaghy, PD has been described as game changer. It has now been taught to over 1500 health professionals world-wide and is licensed in four countries and expanding rapidly. According to PD Warrior Founder, Specialist Neurological Physiotherapist and Insight Summit curator, Melissa McConaghy, ‘Exercise is medicine, and prescribed correctly, it is incredibly powerful. ‘Exercise has long been recognised for its therapeutic benefits in maintaining mobility and function. However, in the last few years there has been a growing body of evidence showing that exercise helps to re-wire the brain and may also be neuro protective. This means that the right kind of exercise may not only improve overall physical function, it is likely to have an effect on the disease progression and ultimately slow the symptoms of Parkinson’s down. More research is needed in this area to determine just how protective exercise is. What we do know though, is that exercise cannot be underestimated for its impact on the treatment of Parkinson’s disease. PD Warrior is available as a 10 week challenge. Anyone can participate in the challenge, either at a licensed facility or online if they are internet connected. You can do the challenge on your own, with an instructor or in a circuit environment. You will know it is working when you can feel yourself moving better, doing things again that you had lost the confidence doing or when other people start to comment on your progress. INSIGHT is an ambitious undertaking and the first of its kind. Never before has there been an online Parkinson’s disease summit designed to reach a global audience. “We are doing this to provide an inspirational and informative platform to help unite a global audience, all with a common goal and with something bigger! It is anticipated over 5000 patients will attend the event. To reserve your place to attend you can register here InsightsintoPD.